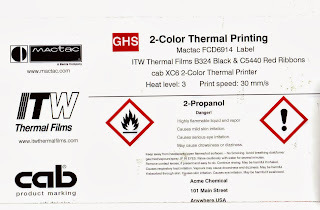 Recently, I received an email stating that I had “MISLEAD” people on my blog post, “Thermal Transfer vs Inkjet” that I posted February, 2013 (http://colorlabelsondemand.blogspot.com/2013/02/thermal-transfer-vs-color-inkjet.html). 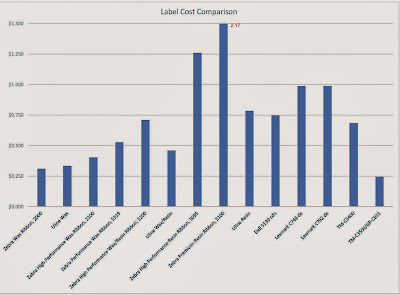 In this post, I compared the ink costs of thermal transfer, laser and inkjet label printers to produce ISO Standard Documents. Given the prices on the Zebra.com site, this person suggested I use prices from Uline to better reflect real market prices: http://www.uline.com/BL_5100/Industrial-Thermal-Transfer-Ribbons. After reading this email, I realized that I had just received another good idea for a post to my blog. I decided to update the calculations using the Uline prices; as well as confirm the latest Zebra ribbon prices (the ribbon prices on Zebra.com had not changed) and add the prices for the black and red resin ribbons for the CAB Two-Tone printer that Color Label Solution sells. As a refresher, I utilized 5 standard ISO documents to determine the cost per page of the selected laser printers. To learn more about this analysis, review my earlier post: http://colorlabelsondemand.blogspot.com/2013/02/laser-versus-inkjet.html. For the inkjet printers, Epson estimated the yield to print the 5 documents to calculate the cost per page. For the thermal transfer ribbons, the cost is a function of the size of page. Based on these latest results, my interpretation seems to remain the same. First, the cost to print using the TM-C3500 or GP-C831 is not significantly different than thermal transfer printers (assuming ISO standard coverage). Second, if you need to use resin ribbon to meet your durability needs or the BS5609 requirements for marine shipments, the ink costs from the TM-C3500 or GP-C831 may be less. 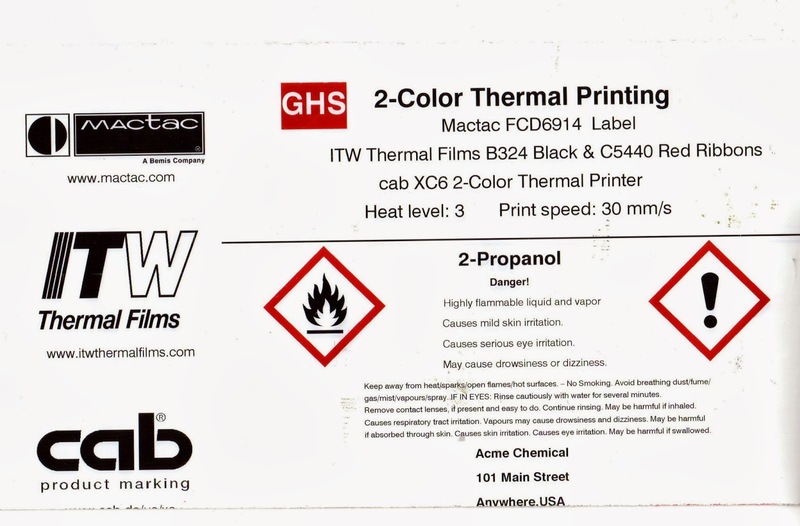 In addition to the previous two interpretations, I added a new observation from my analysis; if you want to use thermal transfer ribbons to produce GHS labels, contact Color Label Solutions. The ribbon prices for the CAB two-tone printer from Color Label Solutions is much better than the resin ribbon prices from either Zebra or Uline. In my analysis, please remember one key caveat: Coverage. If you look at the ISO standard documents, coverage may be less than the coverage utilized in your labels. For the inkjet and laser estimates, the costs increase substantially with increased coverage. For thermal transfer, however, the costs remain the same whether the coverage is 1% or 100%. Therefore, you may have a lower ink costs by using thermal transfer printers when print coverage is high. Also, please remember this analysis is only for ink costs. Label media costs differ among the three technologies as well. I plan to compare the cost of labels for all three types of printers in an upcoming post. If you need help deciding which technology to utilize for your labels, contact Color Label Solutions (www.colorlabelsolutions.com). We’ll find the best solution to meet your requirements. #COLORLABELS. I have decided, EVERYONE NEEDS A COLOR LABEL PRINTER! 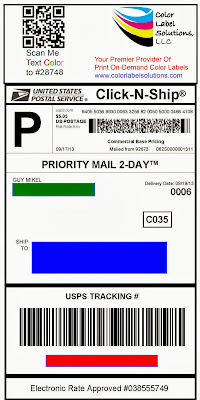 Having a color label printer allows you to create and apply original content on cards, envelopes and packages. Let me explain what I did for my cards; and how I personally use a color label printer for business. 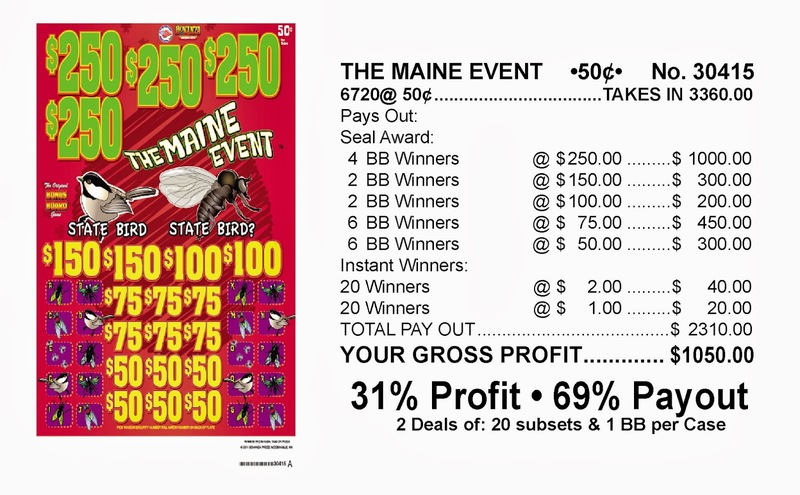 For my cards, I wanted to insert a person message, reinforcing my business. Positioning yourself and your business is very important especially in this time when everyone is bombarded with so much information. I want everyone to see Color Label Solutions (www.colorlabelsolutions.com) as the premier provider of print on-demand color label solutions. 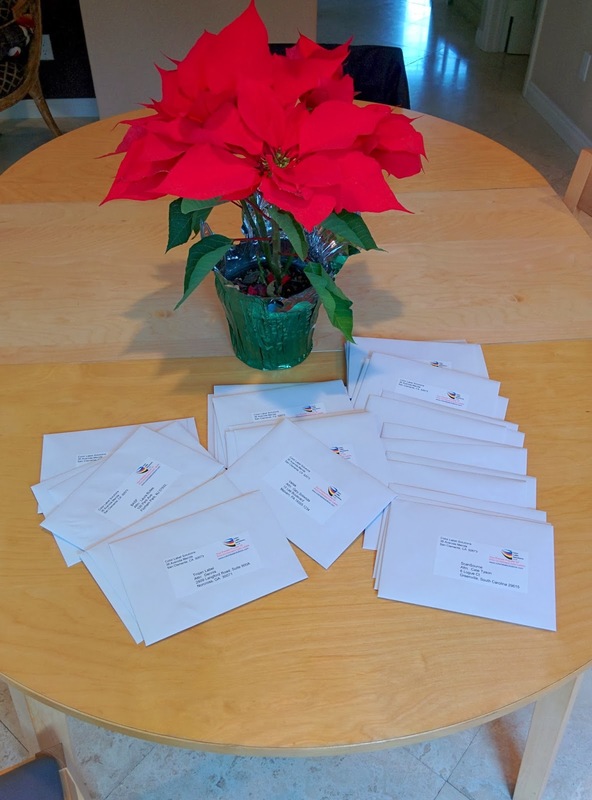 After creating, I printed the message on a 2” continuous label and inserted inside my Christmas cards along with a hand-written person message. If you have seen my handwriting, you understand why it is important for me to use a printer as much as possible. Not only serving its function, the address label promotes the business as well. Plus printing labels with a color label printer is much easier than using a desktop printer to print one label on a page full of Avery sheet-fed labels. How many do you waste? Again, a color label printer makes creating impactful labels, that everyone will read, Easy To Do. Next time you send a letter, card or package, think about how a color label would positively impact your business; and save you time! Although Marketing from the new owners of my customer would not allow me to use their name, I decided to post a slightly altered version. With the requirement to produce GHS labels coming, I hope you find this version of the post of value. As a global manufacturer of specialty chemicals and gasses, my customer needed to comply with the Global Harmonized System of Classification and Labeling of Chemicals, commonly referred to as GHS. If you have not heard of this new set of requirements, you may want to read my earlier post: http://colorlabelsondemand.blogspot.com/2012/03/what-h-is-ghs-opportunity.html. 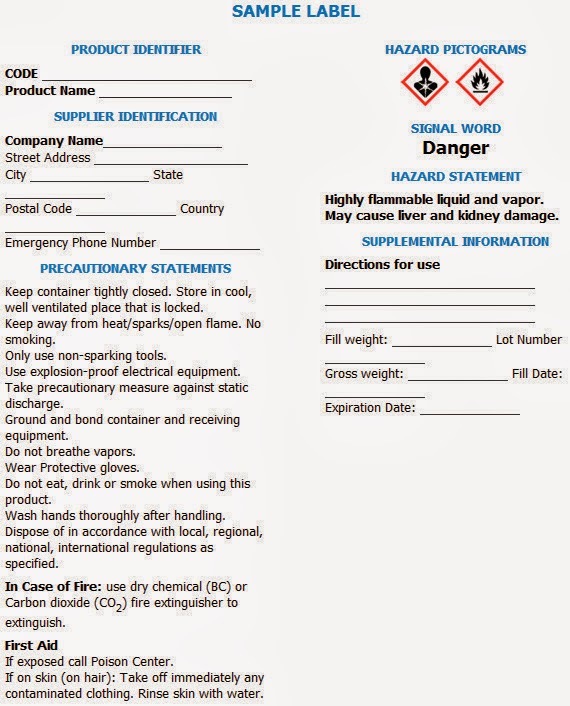 All companies who manufacture chemicals will need to comply with these new requirements by June 1st, 2015 according to OSHA: https://www.osha.gov/dsg/hazcom/HCSFactsheet.html. For companies that ship chemicals by water, they’ll need to comply with the British Marine Standard, BS5609. Here is a summary of these set of requirements from an earlier post: http://colorlabelsondemand.blogspot.com/2012/03/bs5609-is-no-bs.html. I first contacted my chemical company prospect when they wanted to test labels printed with ink from the GP-C831 color label printer. You may find my largest read post on this printer of interest: http://colorlabelsondemand.blogspot.com/2012/10/gp-c831.html. This utility configures all settings in the printer. To fix this communication problem, we reinstalled the driver using the Epson Install Navi Utility, which is an application to set up the printer, including setting up Ethernet connectivity. 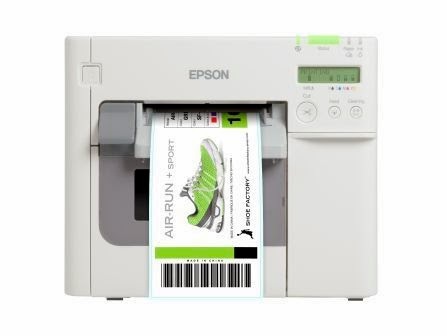 You can find this Utility on the Tech Resource page for the TM-C3500 here: https://pos.epson.com/developers/techresdetails.htm?productpk=696. After using the Install Navi Utility, the printers communicated correctly. Although disappointing that I could not use the name of my specialty chemical company customer, I hope you found this information of value. If you need to meet the GHS requirements like this specialty chemical company, contact Color Label Solutions. 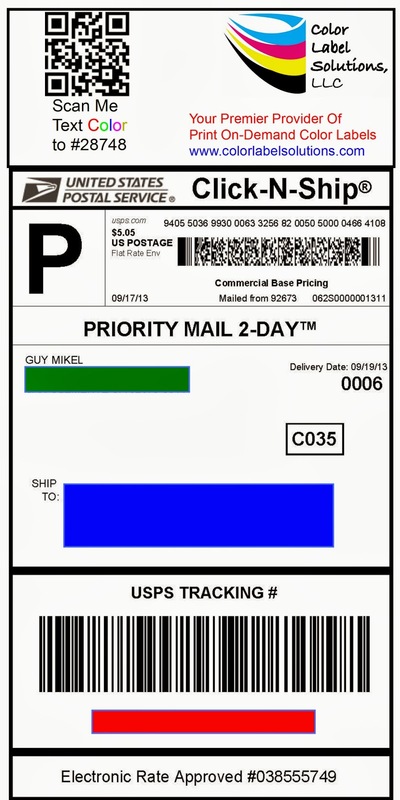 We’ll provide you with the best solution to meet the GHS requirements to print color labels on-demand. According to a definition I found, "Post-Consumer" material is an end product that has completed its life cycle as a consumer item and would otherwise have been disposed of as a solid waste. Post-consumer materials indicates the product was made with these materials that were recycled by residents and other businesses. Using post-consumer material is not trivial in terms of reducing the impact on forests. According to Wikipedia, recycling 1 ton of printing or copier paper saves slightly more than 2 tons of wood; 35% of felled trees are used in paper production; and trees raised specifically for pulp production account for 16% of world pulp production, old growth forests 9% and second- and third- and more generation forests account for the balance. 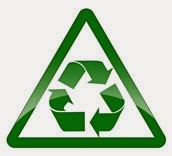 But should we consider using post-consumer recycled material for labels? 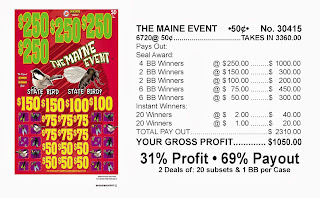 · Costs less (~10%) than matte and standard bond paper labels, especially inkjet coated paper. · Contains a compound that helps to “capture” ink; producing better print quality than plain paper. 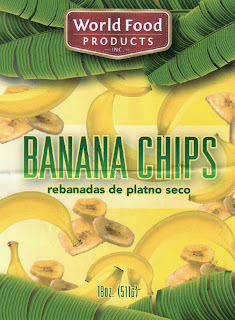 · Produces, typically, print quality not as good as a matte paper label. · Maintains a level of water resistance similar to matte paper labels. To test these points, I printed using the TM-C3500 on some post-consumer paper and compared it to matte paper labels. Can you tell which are the matte and post-consumer paper? On the right, you’ll find the post-consumer recycled paper. I found no difference between the print quality between the two different media. Can you see a difference? Then I tested the printed labels under water. The top is the post-consumer recycled. From my very limited test, I found the post-consumer recycled label media did not hold up to the water as well. Just to be sure, I took off the liner of the matte paper to compare. Without the liner, the matte paper label seemed to withstand water better. Based on my limited tests, I would recommend the post-consumer recycled label for any short term type of labels with the desire to add color; WIP inventory labels, Pick labels, shipping labels, etc. For product or other types of long-lived labels, I would recommend using a more durable matte paper label. 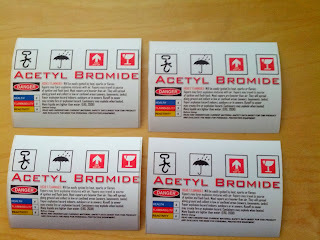 Please remember; I printed these labels with a pigment-based inkjet label printer. 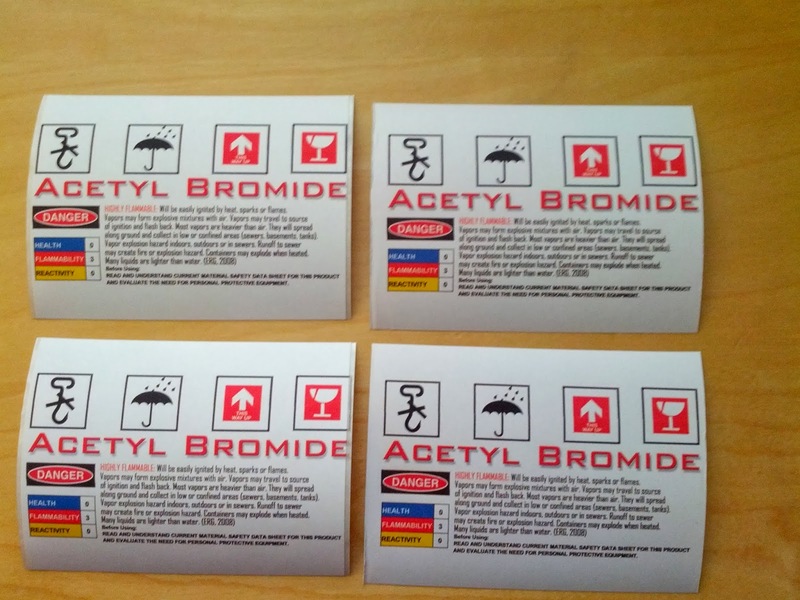 However, I believe these labels should work with both dye and pigment based inkjet color label printers. If you have interest in a post-consumer paper for your print on-demand color labels, contact Color Label Solutions: www.colorlabelsolutions.com. Marco Specialties, Inc. (www.marcospecialties.com) was founded in 1985 with one mission: provide pinball machine owners one source for Everything Pinball. Online since 1999, Marco has since grown to offer over 30,000 individual parts for thousands of games to customers around the world. With thousands of rare parts, large inventories of common parts, next-day fulfillment, and unmatched customer service, Marco continues to raise the bar for the pinball industry. Customers return to Marco again and again thanks to the industry’s largest database of pinball parts carefully matched to individual games. Having used the TM-C3400 for some time (see my earlier post on Marco Specialties: http://colorlabelsondemand.blogspot.com/2012/04/pinball-wizard-two-applications-for.html), they decided to purchase a TM-C3500 when they need an additional printer. 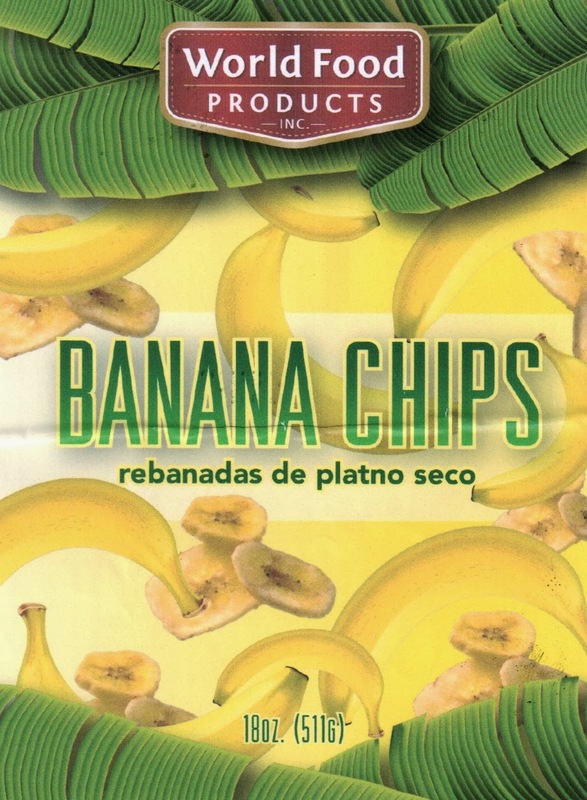 In addition, Marco Specialties wanted to switch suppliers of labels. Knowing their requirements, I recommended they begin purchasing fanfold labels. Fanfold labels are continuous-form paper folded like a fan so that it will stack readily. Many of the very large users of the TM-C3400 and TM-3500 purchase fanfold labels as they require changing less frequently (see FX Luminare) or they use an unwinder; both stories are featured in this post: http://colorlabelsondemand.blogspot.com/2012/05/unwinding-large-volumes-of.html. 1. Insert the plastic piece located on the rear feed cover into the bottom front door of the printer. 2. 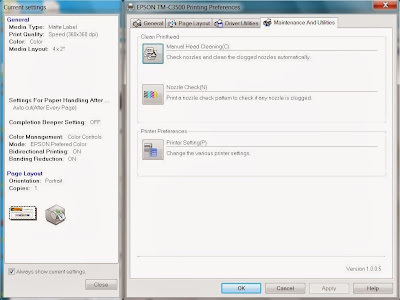 Go to Maintenance and utilities tab in the Epson driver and select “Printer Utilities”. 3. Under “option” (the last item on the list at the left), select “Enable Large Diameter Roll….”. 4. Under Media (first under the General section on the left-hand list) select “die-cut label”. 5. Apply Settings and close out Printer Utilities. 6. Turn off the printer, and then turn it back on. 7. 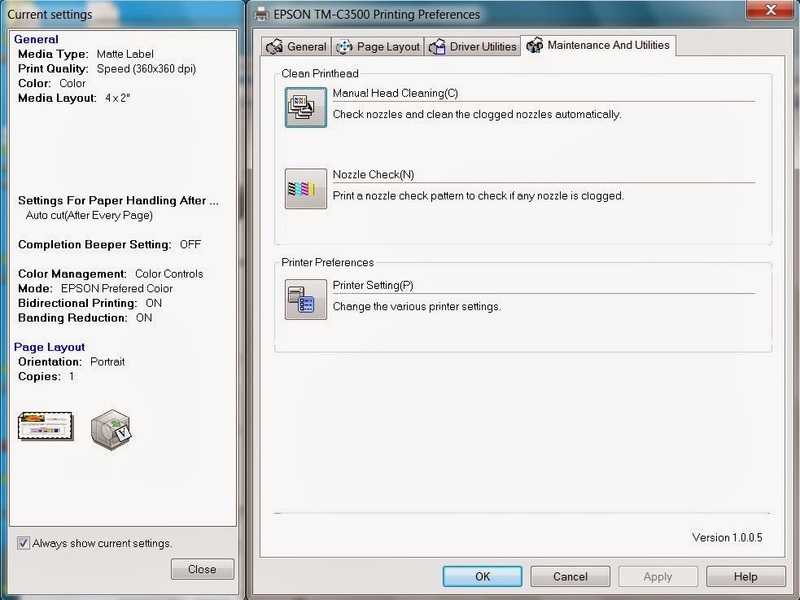 On the General Tab in the Epson driver, make sure you have set up a media size using “die-cut” label. 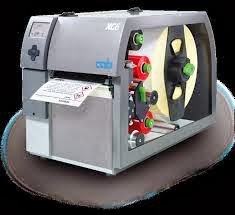 The TM-C3500 with fanfold labels is a great way to print a lot of labels, with minimum ink and media changes. Contact me if you need to print color labels on-demand. Have you ever had to place an order for preprinted labels where the minimum quantity was significantly higher than your requirements? Do you have any SKU’s with multiple years of label inventory on hand? You may remember my earlier post on this type of situation, Minimum Order Quantities Cost Money: http://colorlabelsondemand.blogspot.com/2013/02/minimum-order-quantities-cost-money.html. According to Mark Brimstone in his editorial in “The Universe Is Changing Again” at Printing Impressions (http://www.piworld.com/blog/the-universe-changing-again-noel-ward#), you will soon have greater flexibility in label order quantity as more printers move from flexographic (offset) to digital presses. Let me explain why this greater flexibility is occurring; as well as giving you my opinion on how this trend will grow the print on-demand color label market. You may be wondering, “why the requirement for large order sizes?” With an offset press, set up time may take as long or longer than it takes to print a small quantity of labels (Mark’s Statement: changeover time between shorter run jobs can keep productivity per machine well below 50 percent). Therefore, the fix cost of the press includes both the setup and run time. When printing large quantities of labels, the setup time becomes a minor portion of the overall costs. Paraphrasing Mark, “Conventional label printing prints large runs well. For less popular products or regional brands, shorter print runs increase set-up times and production costs or require maintaining inventories of printed materials that are subject to waste and obsolescence.” Amen; one of my key points on why companies should move to print on demand color. 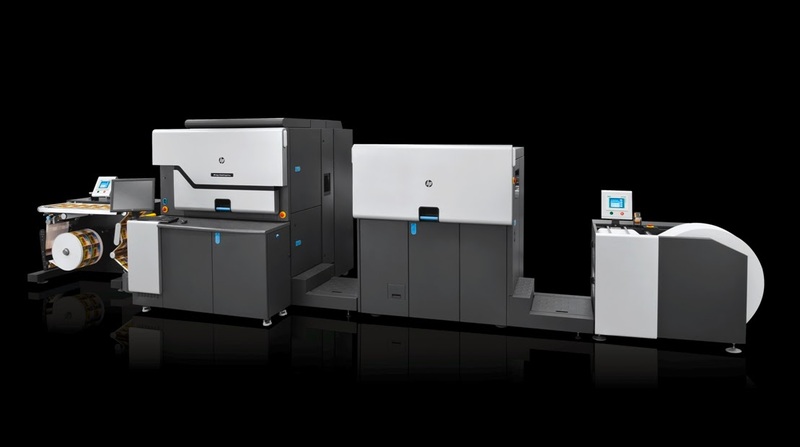 Mark argues that digital presses like the HP Indigo WS 6600 (which may cost up to a $1 million as well as per impression click charges) are the answer. These digital presses will, according to Mark, “increase the range of new applications, offer shorter runs and enable customized jobs—will take some of the offset label printing business.” “Some” of the label printing business moving from offset presses to digital presses seem reasonable. As the global label business equals $57 billion, “some” could be a lot of money! But I content another portion of the global label printing business will move to on-demand color. With the new technology available, end users can print the exactly the labels they require when they need them. During my trip to Pack Expo, I featured a few companies for in-plant prime labels: http://colorlabelsondemand.blogspot.com/2013/09/pack-expo-2013.html. As these ~$10,000 printers produce labels with up to 1,600 x 1,600 dpi at speeds up to 12” per second at prices per label comparable to digital presses, end users can realistically afford print on-demand color label solutions. Even if the price per label is more, an end user will reduce waste, administration, inventory and potential error costs by printing only what they need when they need it. Combining the new technology with the benefits of print on-demand color labels, many manufacturers will move to this process. 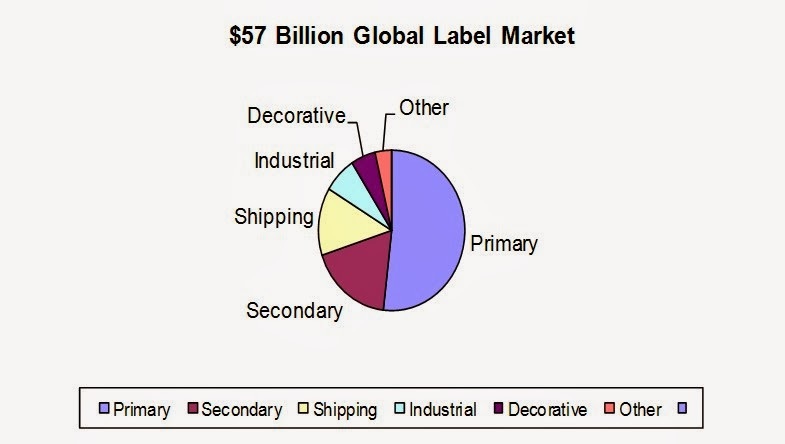 Thus print on-demand color will capture “Some” of the $57 Billion label market as well. Offset to Digital to On-Demand seems like the logical progression to reduce the costs while increasing the flexibility of producing color labels. If you have ever purchased too many preprint labels, contact me to discuss moving your label production “in-house”. Have You Seen This Symbol? 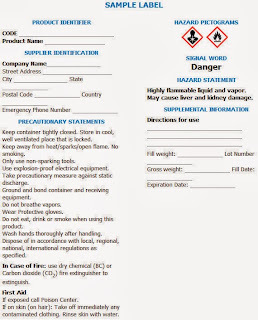 NFPA 704 is a standard system for the Identification of the "Hazards of Materials for Emergency Response" maintained by the U.S.-based National Fire Protection Association. This standard defines the colloquial "fire diamond" used by emergency personnel to quickly and easily identify the risks posed by hazardous materials. By identifying the risks, first responders can determine what, if any, special equipment should be used, procedures followed, or precautions taken during the initial stages of an emergency response. 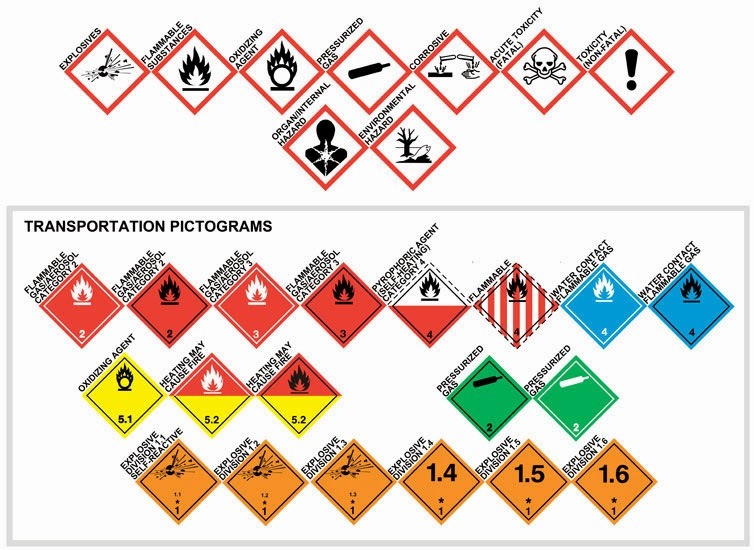 While responding to a RFP for GHS printers and labels, I learned that some companies may be adding both the NFPA and GHS symbols/icons to their labels. 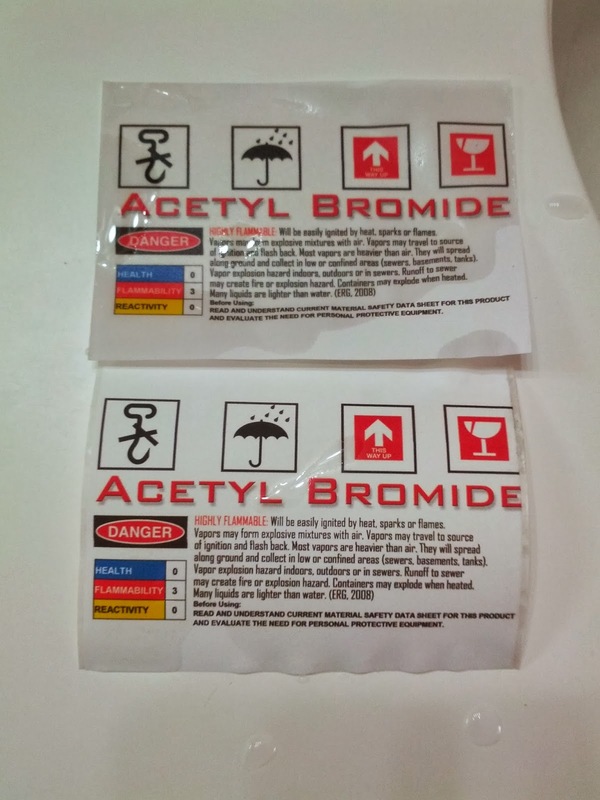 Given this situation, companies would have to use more than just two colors to produce the GHS labels. You may find my earlier summary of the GHS mandate of interest: http://colorlabelsondemand.blogspot.com/2012/03/what-h-is-ghs-opportunity.html. 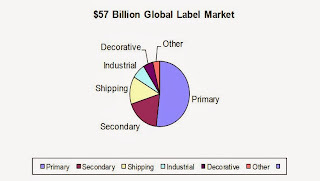 If you are beginning to implement your plans to produce GHS labels, contact Color Label Solutions to help find the optimized printing solution to meet your requirements. 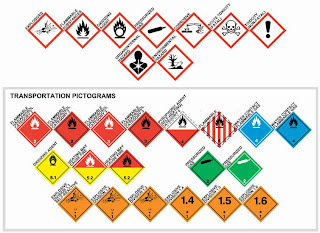 The Global Harmonized System of Classification and Labeling of Chemicals (referred to as GHS) requires companies to start producing labels with color icons. Based on my understanding, most chemical companies will need to produce products with these labels by the end of 2014; with all products labeled in the distribution system by July 2015. For more information, you may consider reading my earlier post: http://colorlabelsondemand.blogspot.com/2012/03/what-h-is-ghs-opportunity.html. In the BS5609 tests, however, they do not consider the impact of the chemicals. 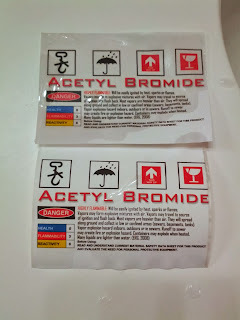 For my own curiosity, I decided to test two types of labels that meet the BS5609 requirements with four household chemicals: Alcohol, Hydrogen Peroxide, Chlorine Beach and Acetone (Nail Polish Remover). In this video, you’ll see the results. Please remember; these tests were not scientific studies. As stated in the video, these tests show only the need for each chemical company to test how their compounds effect their new GHS labels. 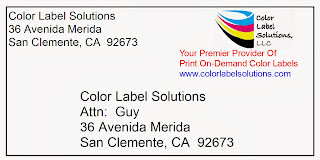 If you need assistance in setting up a solution to print GHS labels, contact Color Label Solutions. Afinia Label (www.afinialabel.com) is the label printer division of Microboards Technology (www.microboards.com), which serves various industries with all kinds of optical media technology. Originally founded in 1989 as the international division of a Japanese CD-engineering firm, Microboards Technology has been growing rapidly along with CD-R technology for the past 21 years. With the L-801 label printer, (http://afinialabel.com/l801-printer/), Afinia has launched the fastest benchtop label printer available. With print speeds up to 12” per second at a resolution of 1,600 x 1,600 dpi, the L-801 is a great choice for in-plant prime label printing. If you are not familiar with the term, prime label, here is the definition: A Prime Label acts as the main identification of a product. Often designed to attract attention, prime labels contain information designed to appeal to a buyer and are usually applied at the time of manufacture. Prime Label acts as the main identification of a product. Craig Greenwood, National Account Manager for Afinia Label, says the L-801 offers several key features that make this printer a great choice for companies wanting to print their own prime labels. According to Craig, “the L-801 produces high quality label images at an affordable price. In addition, the L-801 comes standard with a dust-free, integrated unwinder making large runs easy to do. Also the L-801 has a cut and present feature making hand apply application easier. Finally, the L-801 is easy to setup and run; making the printer a great choice for manufacturers wanting to produce their own labels.” If your organization has inventory of labels similar to the pictures on my in-plant prime label page (http://colorlabelsolutions.com/Prime-Labels.html), you should consider moving to printing color labels on demand. Ink cartridges for the l-801 printer cost $190; you can purchase them here: http://stores.colorlabelsolutions.com/. If you send me an image of your labels, I can provide an estimated yield per cartridge and thus ink costs for your labels. As the printer holds 1.25 liters of ink, companies like yours can produce thousands of labels per cartridge using the L-801. If you are already producing your own prime labels; or considering moving to print on-demand prime labels, contact Color Label Solutions. We’ll help you start quickly and easy producing your own beautiful labels. From September 23 to 25, I exhibited in Las Vegas at Pack Expo 2013 (http://www.packexpo.com/), the premier packaging show. At the show, I saw more companies showing print on-demand color labels than ever before. Let me give you a sample of what I saw. The biggest surprise was all of the companies showing color label printers utilizing Memjet (http://www.memjet.com/) technology. Afinia Label (http://afinialabel.com/), ColorDyne (http://www.colordynetech.com/), Trojan Label (http://trojanlabel.com/) and Xante (http://www.xante.com/). Afinia is a division of Microboards (http://www.microboards.com/) from Minneapolis, MN who specializes in DVD duplicators and printers. Like the other printers using the Memjet printhead, the L-801 label printer produces beautiful print quality at speeds up to 12” per second. Plus this printer includes an 8” unwinder and media cover, which is important to protect the media and printhead from dust. With the printer, Afinia includes BarTender from Seagull Scientific (http://www.bartenderbarcodesoftware.com/label-software/welcome.aspx), for producing variable data labels. If you need to match colors precisely, Afinia partners with Wasatch (http://www.wasatch.com/softripmain.html), to provide a RIP (raster image processor) software. Finally, Afinia sells the lowest cost printer of this group, with a list price of the basic printer at $8,995. For companies just starting to print in-plant prime labels, the Afinia label printer is a good option. In addition to the Afinia printer, I saw the Trojan label printer. This Danish company with US headquarters in Alabama sells the most “aesthetically pleasing” label printer in the Memjet group of partner companies, utilizing a stainless steel cover. In addition, Trojan label provides a browser-based application to connect to the printer. Here, Trojan showed an Android device connected to the printer. In addition, Trojan offers the capability to connect to the printer via VPN. This connections allows Trojan tech support to configure, train and troubleshoot printers anywhere in the world. As on-site support is an issue with the Memjet partner companies, the VPN connection could be a very valuable capability to consider when purchasing an in-plant prime label printer. If you prefer thermal transfer printers but need to comply to the GHS label requirements, CAB Technologies offers a two-color label printer; the XC series. CAB Technologies worked with Mactac (www.mactac.com) and ITW Thermal Films (www.itwthermalfilms.com) to produce a thermal transfer 2-color, printing solution. With the ribbon saver and precise heat settings in the printhead, this printer produces BS5609 certified labels requiring black and red colors. To see more, check out my video from Pack Expo 2013 by texting “Guy” to 28748 or my post on You Tube: http://youtu.be/XiDbRKJlYLI. If any of these printers fit your requirements, contact Color Label Solutions. After reading Tom Shapiro’s, “3 Ways to Juice Your Marketing Results Using Color” (http://www.marketingprofs.com/articles/2013/11665/three-ways-to-juice-your-marketing-results-using-color?adref=nlt091713), I decided to repost this article. In the story, Tom makes 5 statements about the use of color that works for labels. Even a “functional” Shipping label, as well as Prime, Secondary, Industrial and Decorative labels accrue significant benefit by adding color. #1: We experience the world through colors. Imagine how different our life would be if we saw the world in only black and white. 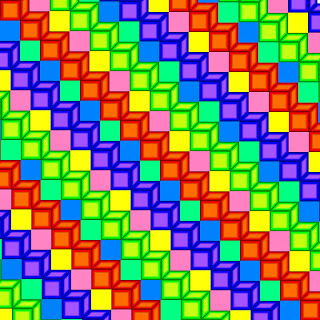 Colors add context that you don’t get with only black. #2: Color increases brand recognition by a whopping 80%. 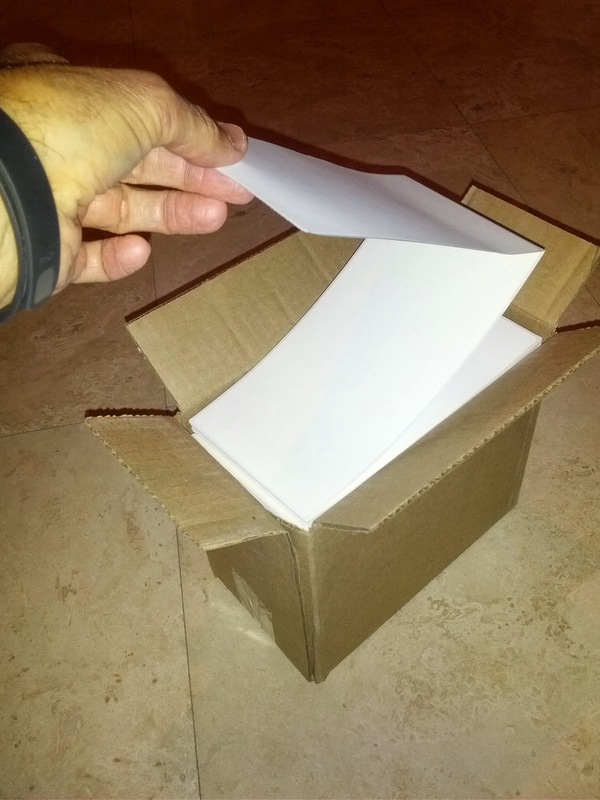 If you’re involved with an organization selling something, anything to customers, you should be working to identify ways to increase your brand recognition; even on lowly shipping labels. #3: People make subconscious judgments about a person, environment, or product within 90 seconds, and up to 90% of that assessment is based on color alone! 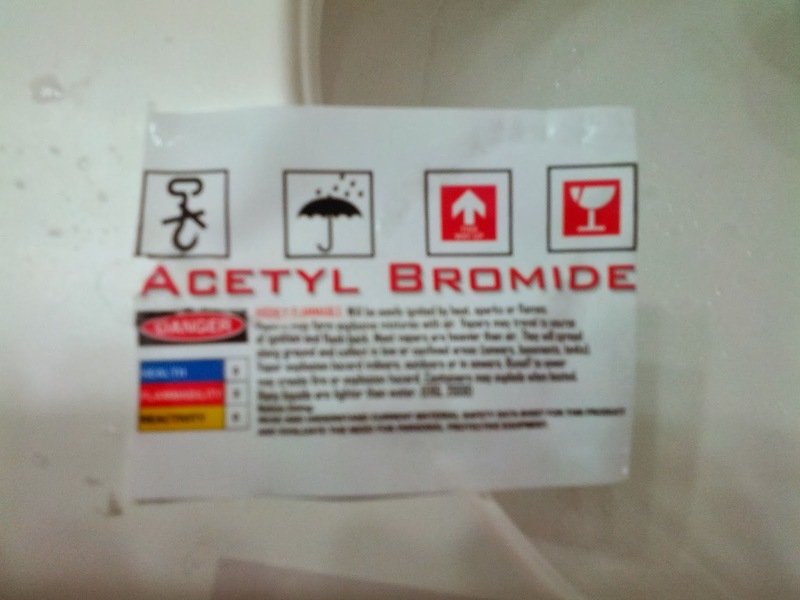 When your customer sees a monochrome label, what assessment of your company do they make? 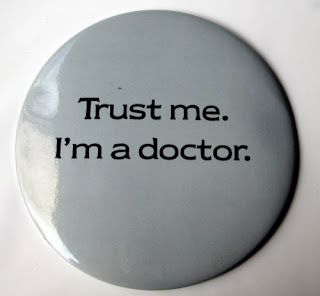 What assessment would they make if they saw your labels with color? You may say that “shoppers” don’t purchase our products; we sell to businesses. But Buyers, Operation Managers, Shippers and others inside organizations are people too that make decisions about your products. Do they see color! #5: Color helps people remember brands longer and decide what to buy. What do customers remember about your company after seeing your labels? If you want to leave them with a positive image, move to print on –demand color. I believe that once you ask yourself and your Marketing colleagues this second question, you’ll see how obvious and how important the decision to move to color on your labels is. Below is my shipping label. Talk to your Marketing colleagues about adding color to all of your labels. If you want to start adding color to your labels, contact me. I’ll help you get started “juicing” your Marketing with print on-demand color labels.